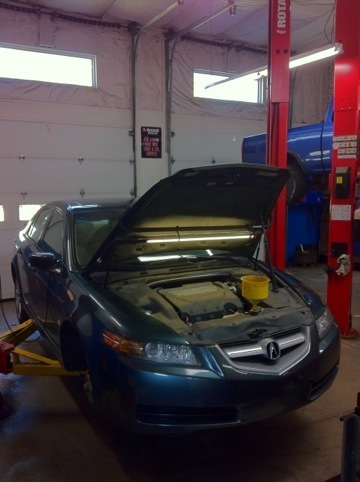 2004 Acura TL 105K service including timing belt water pump while doing so found t-belt hydraulic tensioner leaking. Replaced also a set of spark plugs. Found front brake pads where worn out. Replaced with factory Acura parts.